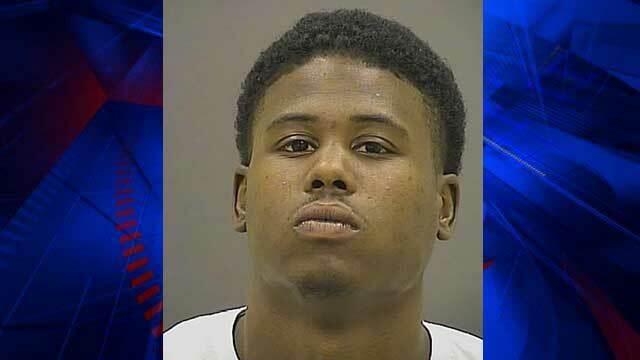 BALTIMORE (AP) — Baltimore police have arrested a man authorities say set fire to a CVS pharmacy during the height of the riots that rocked the city after the death of Freddie Gray. Police said at a news conference Wednesday evening that 24-year-old Raymond Carter was arrested in Federal Hill after Bureau of Alcohol, Tobacco, Firearms and Explosives agents spotted him. He is charged with federal arson offenses. Authorities say Carter set fire to the CVS at Pennsylvania and North avenues April 27 during the worst night of rioting in Baltimore. Police Commissioner Anthony Batts says Carter is responsible for causing $1 million in damage.